When you are growing old, your body will indubitably fascinate you in a lot of ways. Aside from the time that swiftly passes by, you will begin to notice the changes that come with aging. Women are daunted by the white hair that sprouts endlessly on their head. Men, on the other hand, are frightened when their hair starts to go thinning. Having wrinkles can intimidate our older adult as well as the fact that they tend to forget things more often. But those are just the lighter troubles our elderly face. There are more issues that are bigger and more frightening than a change of hair color and elasticity of the skin. As a provider of the finest home health care in East North Street Madisonville KY, Brighton Cornerstone Healthcare has been facing these issues with our clients. For that reason, we want to spread awareness for everyone to know these facts. What are the issues the elderly face? Chronic health conditions refer to the diseases or illnesses human being acquire. Unlike other diseases or illnesses, people with chronic health conditions suffer a persistent and long-lasting effect and pain. We refer a specific condition as chronic if the patient remains in poor health for more than 3 months. Note that the list mentioned above is not arranged from the most common to the least. Chronic diseases are not a normal part of aging. In fact, these diseases should not be experienced by anyone by all means. That is why scientists and other medical practitioners have been researching on ways on how to treat these diseases. The good news is that some of the aforementioned illnesses can be treated. In addition to that, many types of equipment have been made available and inexpensive to assists the older adults in their daily living. In order to prevent having any of the mentioned ailments, we strongly recommend the seniors to submit to annual checkups. And if you find going to health care institutions bothersome and inconvenient, you can always call for Brighton Cornerstone Healthcare. We provide quality health-care services in your home so you do not have to commute to the doctor in order to be treated. Cognitive health refers to a person’s ability to think, reason, learn, and remember information. As we age, our physical capabilities decline as well as our cognitive health. Do you remember dementia? It was listed as one of the most common chronic health conditions. Alzheimer’s disease is the most common form of dementia. This disease is crippling to the patient because not only will it rip their ability to remember significant information. It can also impair motor activities from fine motor skills such as cooking, writing, etc. to important daily tasks taking a bath, dressing, and eventually, eating. Unfortunately, we still do not have a known and effective treatment for dementia. For now, all we can do is assist those who are currently suffering from the said condition. We also encourage the older adults to stay physical and healthy in order to prevent degenerative mental conditions. 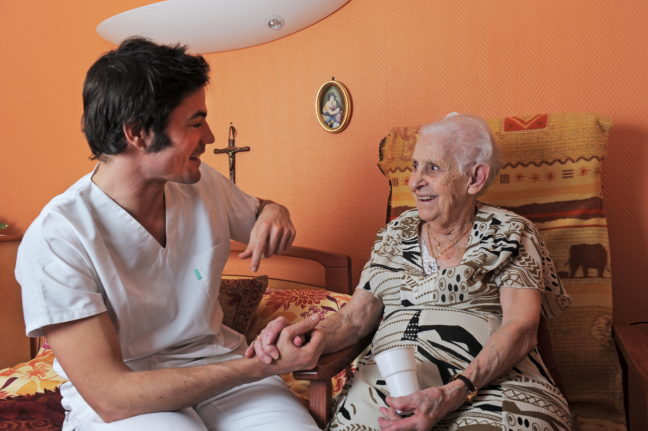 Our home health care in East North Street Madisonville KY includes providing skilled nursing services to our patients to keep them safe and cared for in the comfort of their own home. We also look into keeping the seniors active to not only prevent dementia but also stay healthy throughout the years to come. This entry was posted in Health Care and tagged Hospice Care, nursing care, personal care. Bookmark the permalink.